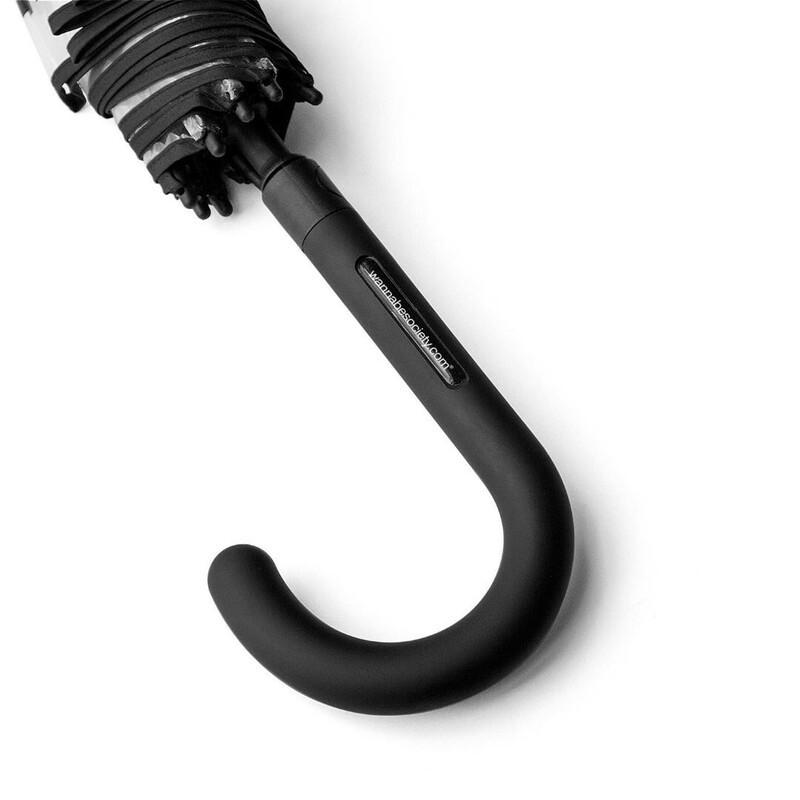 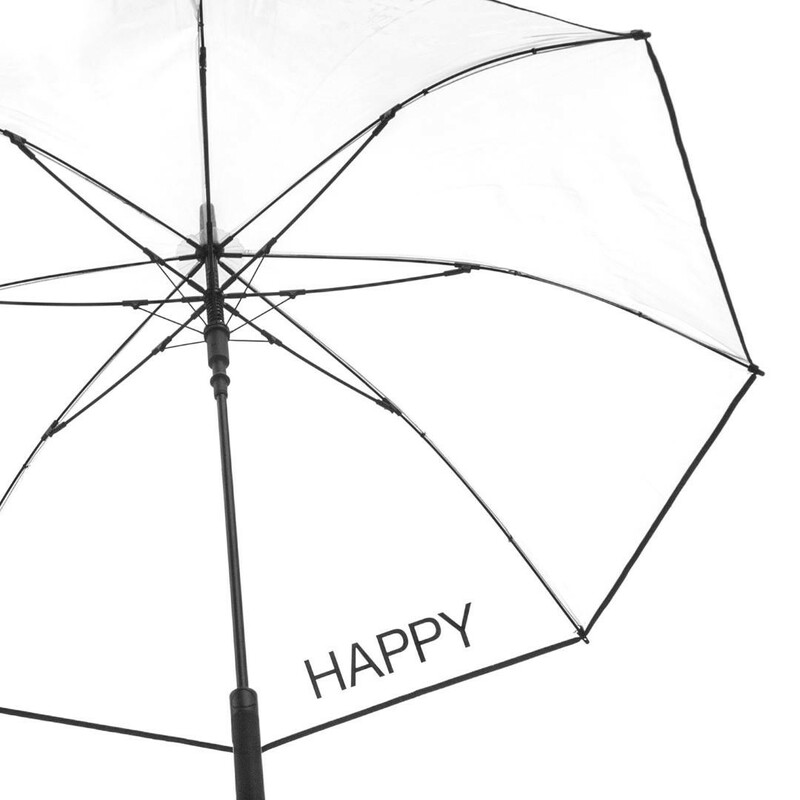 Transform your rainy days in HAPPY days. 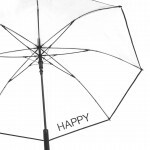 Thousands and thousands of raindrops will absorb the word HAPPY and multiply its strength just for you. 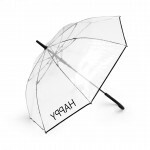 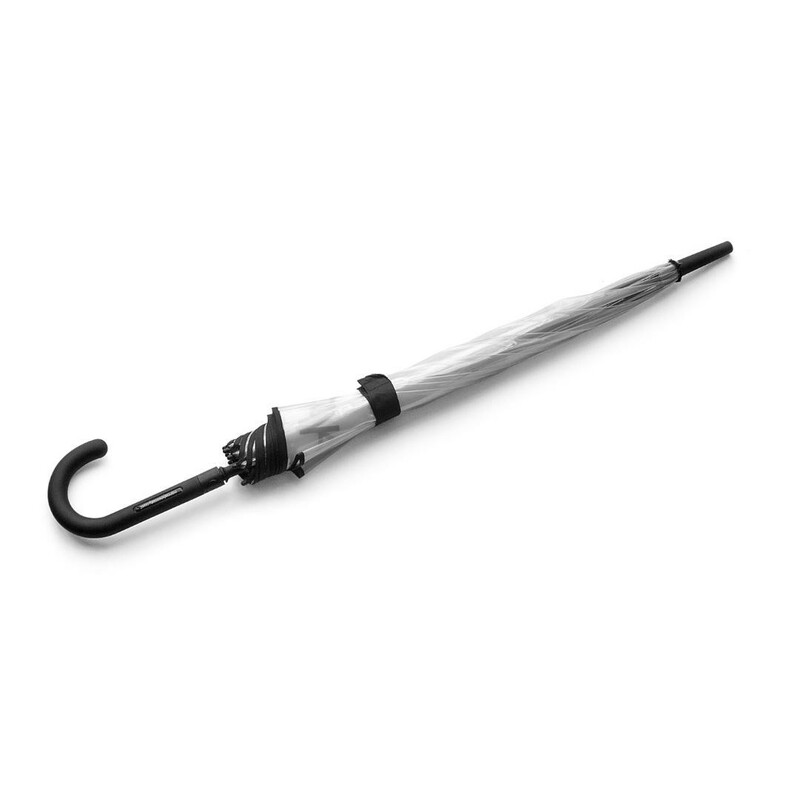 Usually, clear umbrellas are dome-shaped but WNBS transparent umbrella is in the traditional umbrella shape, has eight panels, a black handle and an automatic opening mechanism. 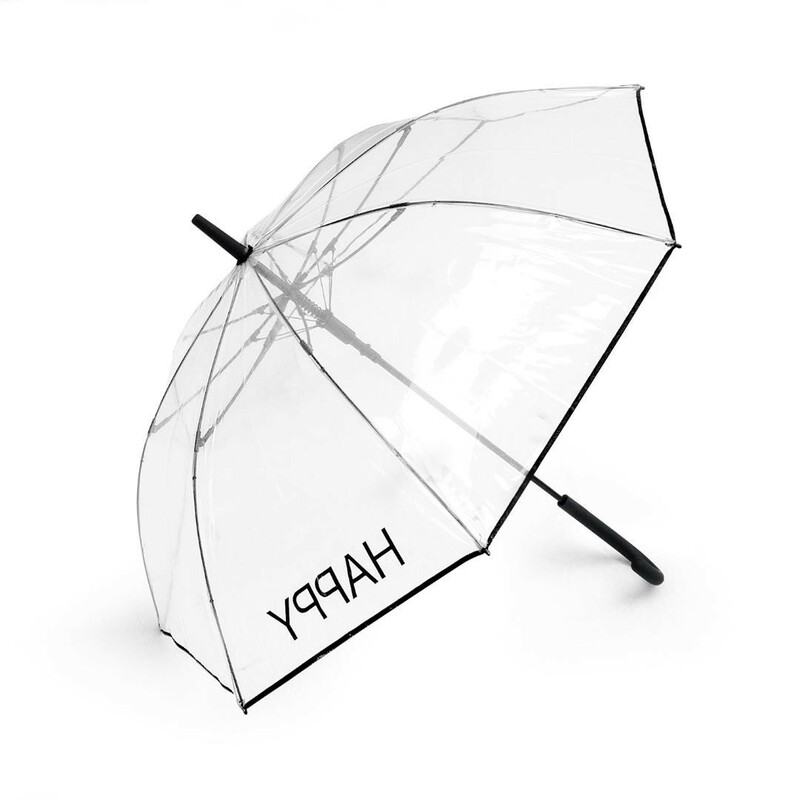 Measurements are 84 cm long with a canopy width of 100 cm.